If you’re in school, that means the long awaited June holiday break. If not, there’s always the weekend to spend some quality time with your loved ones. With a whole bunch of exciting events to go to and new eats to sample, this month’s line-up of events surely does not disappoint! Think fun festivals of all kinds, shopping till you drop at The Great Singapore Sale, and new cafe openings. Whether you’re a beach bum, die-hard foodie or someone who appreciates great music, we’ve got some ideas on how you can spend your weekend! Here are 10 activities you need to head down to ASAP! It’s time to pick up your colouring pencils again! Faber-Castell, the makers of brilliant pencils and creative goods, adds colour to the month with its first ever art festival. There’s something for everyone, no matter your age or experience. 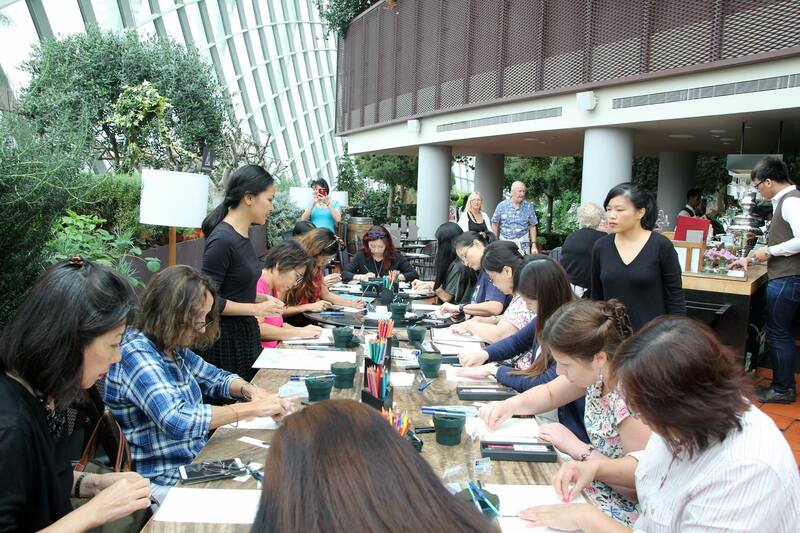 Join one of the many workshops, and try your hand at creating your own piece of art! These include lessons on fashion illustration, brush calligraphy, hand-lettering, and watercolour painting. You can also bond with family over art competitions, badge making, and mind mapping. There will also be an art exhibition, where proceeds from the sale of artworks will be donated to the Singapore Children’s Cancer Foundation. Make sure you nose around the huge spread of Faber-Castell products on sale too! If you remember watching Channel 8’s The Little Nyonya, you’ll jump at this chance to be part of that world. The Peranakan Festival offers the most immersive chance to learn about the vibrant Straits Chinese culture in Singapore! Expect a slew of performances, including the traditional Dondang Sayang, a humourous love ballad. 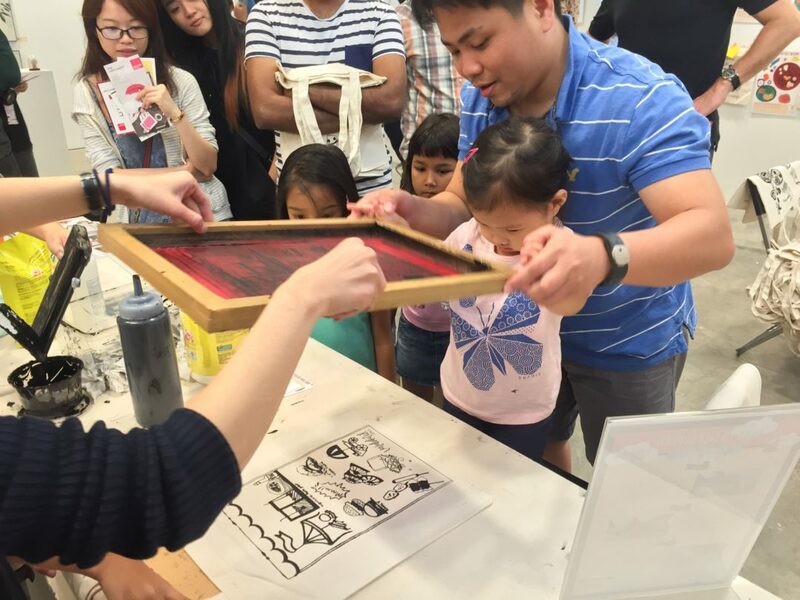 Kids will love the arts and crafts workshops, where they’ll learn stamp carving, silk screen printing and book cover art. You’ll also get to have fun dressing up and taking pictures in Nyonya or Baba traditional kebayas! Try your hand at making (or wolfing down) traditional desserts, Nasi Ulam, sireh and betel nut, at the cooking classes and food tastings here. Finally, sit down for high tea with the less privileged elderly and children from Lengkong Bahru and beneficiaries from Prison Fellowship Singapore, and learn the heart of the Peranakan community. This one’s for those who live for decadent food and extravagant parties. Lo & Behold’s month-long festival shows us Singaporeans how to party with class and style! Expect a total of 7 specially curated events happening throughout their establishments. Party like Grace Kelly at Electroball: The Golden Age of Hollywood, at swanky 1930s bistro-bar The Black Swan. Or head to OverEasy Orchard, for a Riverdale-themed bash! If you’d rather eat than party, catch an epic Pizza-Off happening at Extra Virgin Pizza. 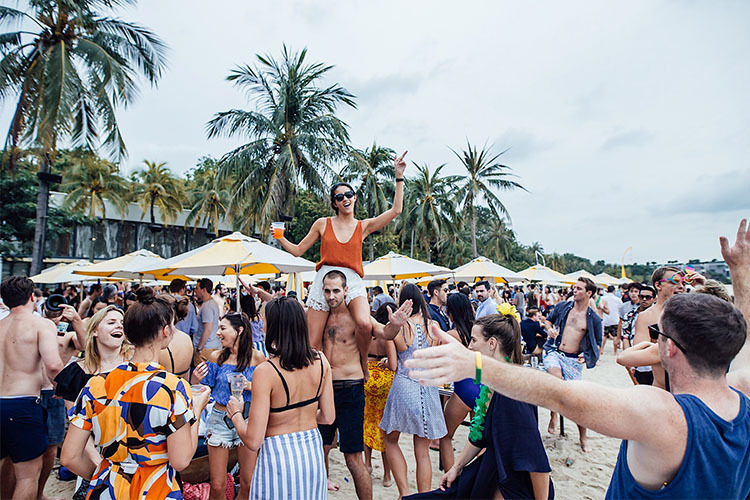 As part of the festivities, Tanjong Beach Club will also be serving up an All You Can Eat Bottomless Brunch. If you want to learn a little something, The Rabbit Hole will be playing host to a snazzy Gin Workshop, so bottoms up! Been dreaming of the perfect beach getaway, but haven’t got the time to go? 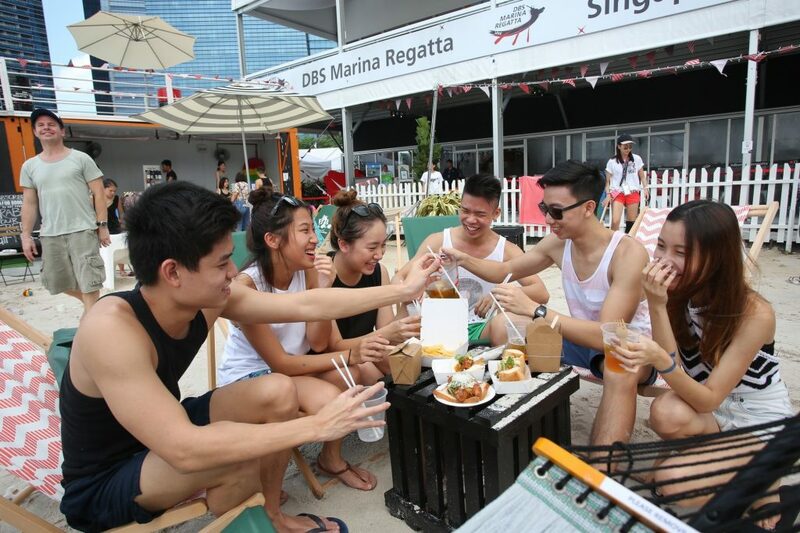 Well, DBS brings the beach to you at this year’s DBS Marina Regatta, Singapore’s first and only urban pop-up beach! Held at Marina Bay, there’ll be plenty to do, eat and drink–like a real beach, but better. Laze around in hammocks with an ice cold cocktail in hand (we recommend one from Potato Head’s Coconut Bar), take yoga classes hosted by lululemon, or get your blood pumping by tackling Singapore’s largest inflatable water obstacle course. Remember how much you loved listening to stories as a kid? StoryFest brings that spark back, with a showcase of the best storytelling from Singapore and around the world. 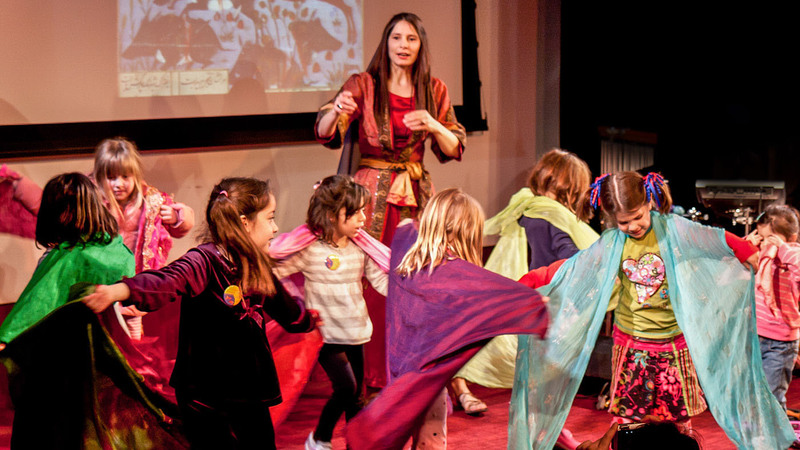 There are workshops and performances for everyone–kids, adults, and aspiring storytellers themselves! Families will be transported to faraway lands at Enchanted Tales, which features folk and fairy tales from Russia, Africa and France. Adults too can choose from a selection of adult audience shows, including a monologue and a story slam in the Singapore Showcase. There’s even a workshop where you can learn to use stories to build emotional literacy in children, and one where the audience themselves are used to form a story. It’ll surely be a happy ending to the day, no matter which you choose! That, and a whole lot more, is what you’ll find at Bikini Bar’s quarterly beach party, Beerkini Rocks! Here, you’ll get a good dose of rock music, crazy beer promos and exciting beach party games. Music fans can look forward to rock classics and chart-toppers by talented local rock and alternative acts O.K Ready! and Rockweller. Also not to be missed are their crazy drink offers, with Jaeger Shots at $8, Monster Bombs at $9, and Buckets of Bintang going at $40. Bikini Babes will also be challenging rock and rollers to exciting beach games with prizes to be won! 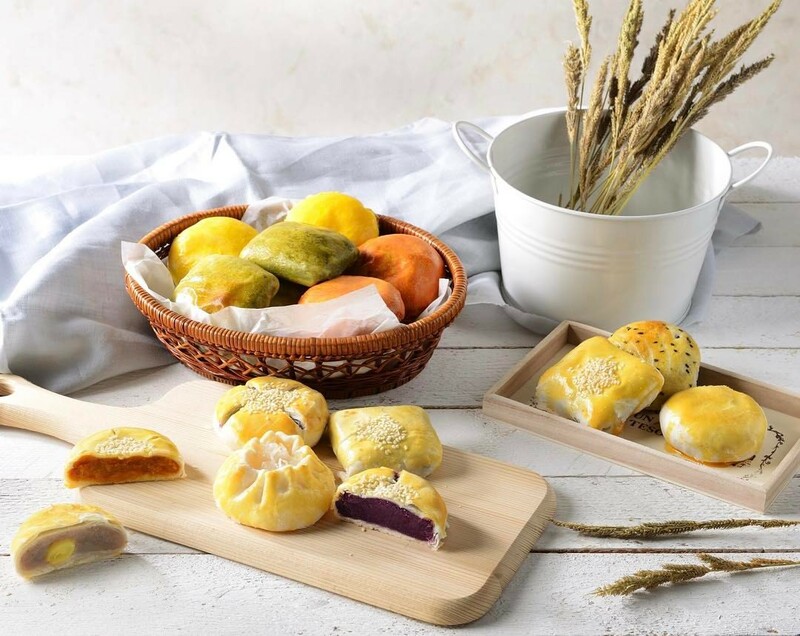 Bangkok’s famous April’s Bakery has finally opened in Singapore! And it’s serving up Hong Kong-style Lao Po Bing (Wife Cake) with a twist. Choose between sweet and savoury options depending on your mood–both are stuffed with flavourful, colourful fillings, wrapped in a thin, flaky crust. For an afternoon snack, try the fragrant Pork with Gravy, or the subtly sweet Pork with Honey. For dessert, get the Thai Milk Tea, Green Tea, or go for the popular Taro (with a hidden gingko nut within!) and Pumpkin flavours. These Cantonese-style pies are handmade and baked fresh daily to ensure they taste great, and they’re all priced at only $2 each! We suggest you head down early, because the yummier flavours get snapped up real quick. This newest addition to the themed cafe scene may be the most magical one yet. The quirky Enchanted Cafe charms at first sight with its beautiful decor, complete with a magical garden and collection of spell books. But what’s most striking is the presentation of its dishes. Think: Bright red cherry compote, blackberries and blueberries in a vivid splash against a deep blue plate, sprinkled with seemingly handpicked bits of nuts and leaves. 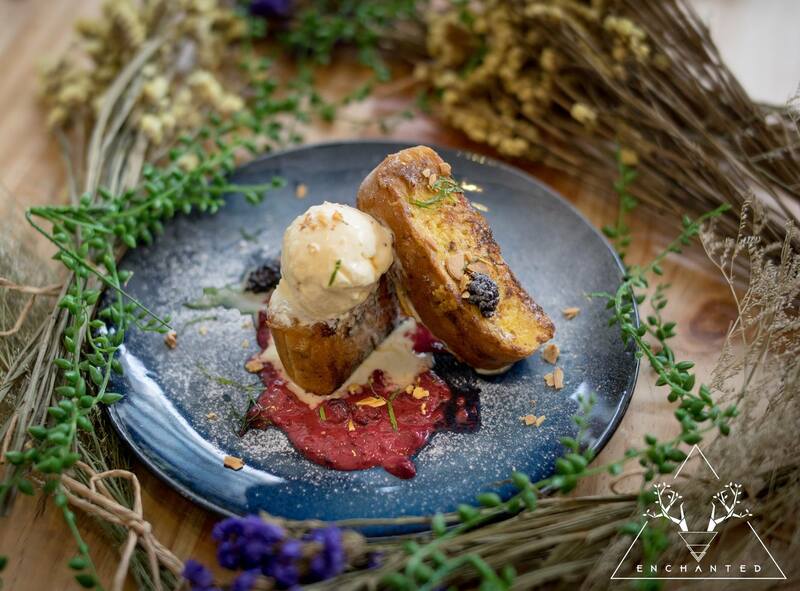 That’s what makes up the tangy, yet sweet Berries Compote French Toast ($14.90). For something traditional with a twist, there’s the Ngoh Hiang Burger ($18.90), which is exactly what it sounds like, complete with bits of water chestnut and black garlic sauce made from scratch. The most instagramable thing here is the Sorcerer’s Elixir ($9.90), a blue drink that turns glittery purple after an orange liquid is added. This has to be the most enchanting cafe to open since the Harry Potter Cafe. Maybe you’ve been thinking of swapping out your laggy PC for a new one. 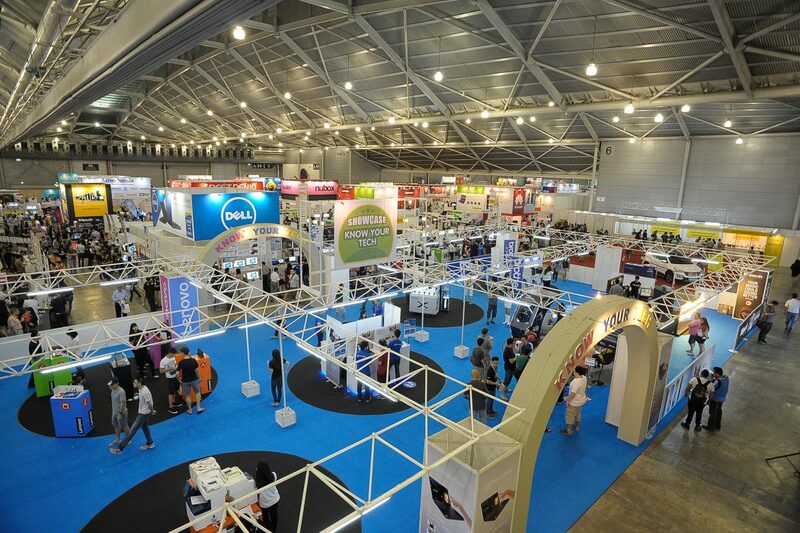 Well, there’s no better time than the annual PC Show! This has to be ultimate sales platform for the latest trends and best bargains on PCs and other techy bits. Some of the biggest names in the IT industry such as Dell, Epson, HP, and Samsung are back with exciting new products and the best prices in town. If last year’s show is anything to go by, it’s a lot more than just sales too. The last PC Show featured a Gaming Zone which saw gamers facing off, and showcased the freshest hoverboards and e-scooters. There’s bound to be something you can pick up here, whether you’re an IT geek, bargain hunter or casual browser. Shopping. Many of us do a whole lot of it–often, more than we should. Well, a 10 week period starting from 9 June just gave us even more reason to do so! 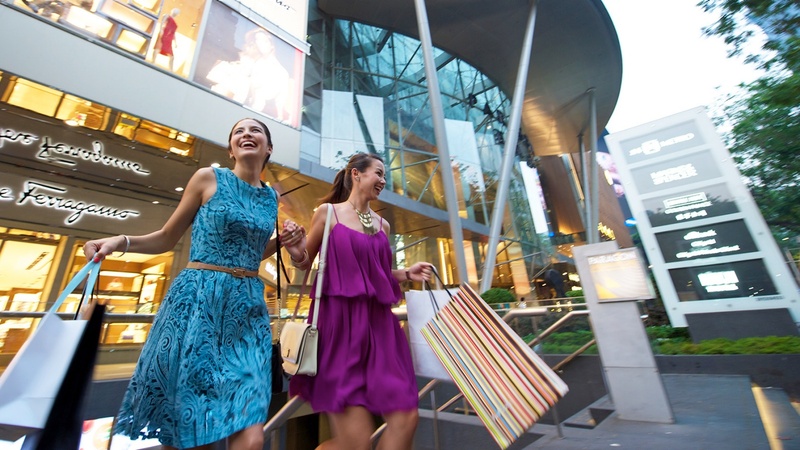 For both tourists and locals alike, there’s no better time to hit the stores than during the Great Singapore Sale! This is the time when retail stores in Singapore feature their greatest sales and markdowns. Had your eye on a dress, but couldn’t bear to part with that kind of cash? We say it’s now or never. Stretch your dollar and fill those shopping bags with bargains of all kinds–from fashion to jewellery, electronics to toys, to spa treatments, hotel stays, food, and visits to local attractions! It’s already the middle of the year, and we say now’s the time to rest and recharge! We plan to do that by delving into as many fun activities as possible, to power us through school/work the rest of the year–perhaps you should too!